At least two students were killed and 20 more people were injured in a shooting at a high school in Kentucky Tuesday morning, police said. 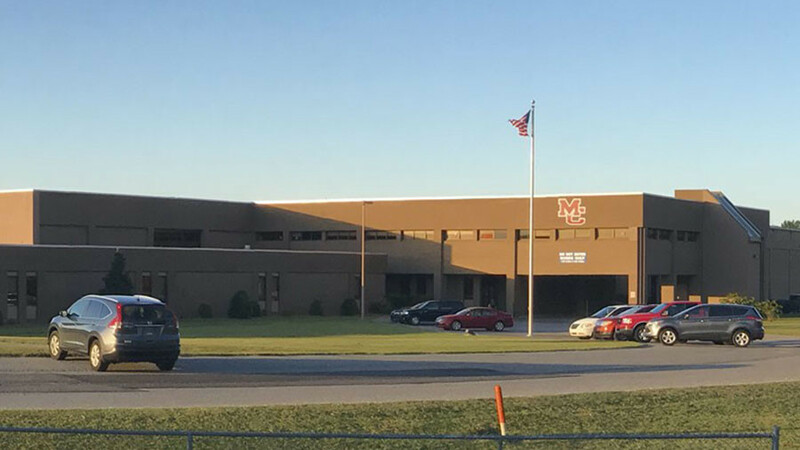 Two 15-year-old students, a male and a female, were fatally shot by a fellow 15-year-old student armed with a handgun at Marshall County High School. All the victims were aged between 14 and 18, Kentucky State Police trooper Jody Cash said, as cited by WPSD Local 6. The shooter is currently in police custody and will be charged with two counts of murder and several counts of attempted murder, according to Kentucky Governor Matt Bevin. Whether he will be charged as an adult or juvenile is "still being discussed" according to Commissioner for State Police Rick Sanders. The deceased victims were named as Bailey Nicole Holt and Preston Ryan Cope by by Sanders in a press briefing at 6pm local time. Holt died at the scene, while Cope passed away at Vanderbilt hospital. #MarshallCounty High Shooting: Two student are deceased. One male and one female. The shooter was a student. A 15 YO male who is now in custody. Out of the 20 injured students, 16 of those received gunshot wounds according to Gov. Bevin who gave an emotional press conference in Marshall County at 12:30pm local time. Five students, who were wounded while fleeing from the shooter remain in critical condition at Vanderbilt hospital, says Sanders. The shooter was “peacefully” apprehended at the scene by police according to Gov. Bevin. “It is a tragic day for all of us,” Sanders told reporters during the press briefing. Family members of all affected students have been notified, however further information pertaining to the case, including the shooter’s identity and possible motive, will not be released so as not to compromise the investigation. The school had active shooting training a few weeks ago and "students did exactly what they were trained to do," according to Sanders. The school in Benton had over 1,000 students in grades 10 through 12. Marshall County has a population of about 31,000 people. This is the second shooting at a US high school in the last 24 hours. On Monday, a teenage girl, 15, was shot by a 16-year-old boy in the cafeteria of Italy High School in Texas.